Mendeley is a cross-platform application (Windows, Mac, Linux, iPhone) that helps researchers manage and annotate their Scientific paper collections. Citation data from its cloud library can be accessed across multiple devices e.g., Laptop, PC, iphone etc. 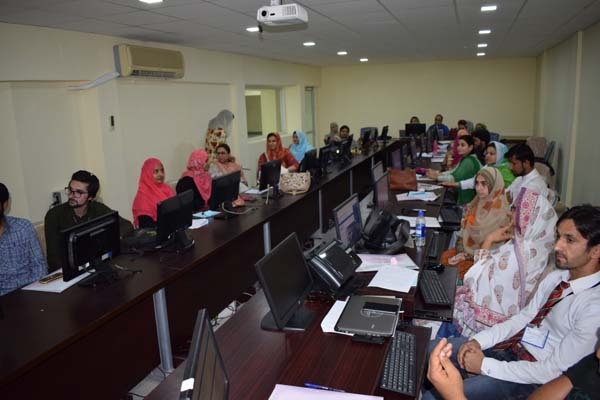 In order to enhance the research capabilities and to inculcate modern thesis writing trends, PASTIC National Centre regularly organizes training workshops on Mendeley. 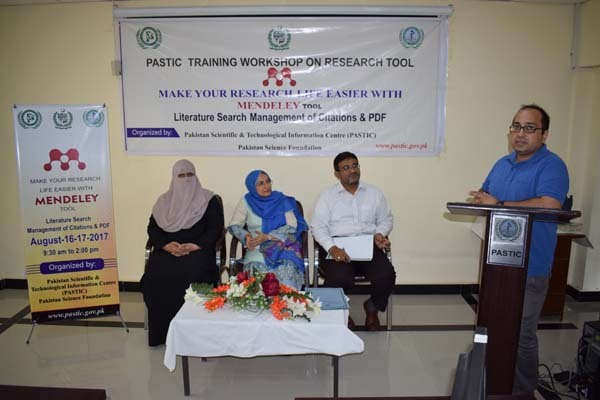 Currently PASTIC organized a training workshop on “Make your research life easier with Mendeley Tool” from 16-17th August 2017 at PASTIC National Centre, Quaid-e-Azam University Campus, Islamabad. The objective of this workshop is to build the capacity of young researchers and to enhance their skills in literature search, citation, sharing and discovering of new research. The workshop included practical sessions where an opportunity was provided to learn and practically use different features in Mendeley application starting from creation of Mendeley account to insertion of bibliography in MS Word application. Dr. Ayesha Rauf, Assistant Professor/HOD, Department of Health Professionals Education, Shifa College of Medicine, Islamabad was the chief guest at the closing ceremony. She also distributed certificates among the participants. 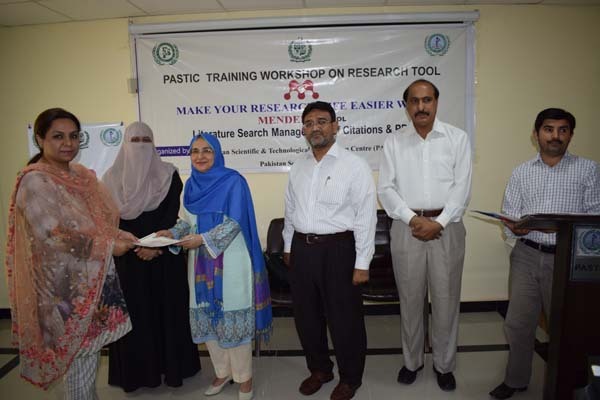 Dr. Maryum Ibrar Shinwari, Senior Scientific Information Officer (PASTIC) and Mendeley Advisor was the resource person of the workshop. 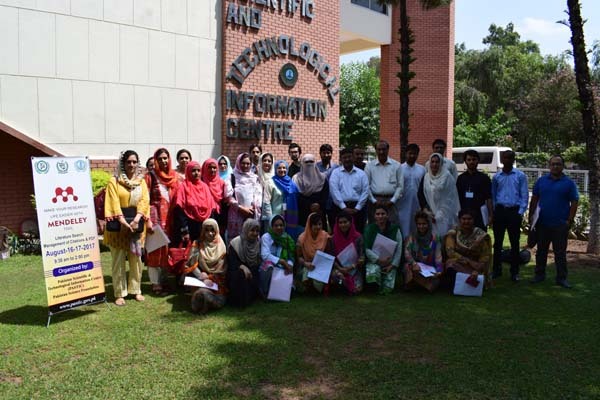 29 Participants (student and faculty members) from academia (Quaid-e-Azam University, Shifa College of Medicine, PIDE, AIOU, CIIT, PIMS) participated in this hands on training workshop. PASTIC has been regularly organizing this series of workshop on monthly basis to train the young researchers on modern tools and techniques. Participant giving remarks about the training on closing ceremony of the Training Workshop on Research Tools Mendeley by Pakistan Scientific and Technological Information Centre (PASTIC), Islamabad. Lab view during Mendeley Training Workshop by Pakistan Scientific and Technological Information Centre (PASTIC), Islamabad. Participant receiving certificate from Dr Ayesha Rauf, HOD Department of Health Professionals Education at Shifa College of Medicine on closing ceremony of Mendeley Training Workshop by Pakistan Scientific and Technological Information Centre (PASTIC), Islamabad.